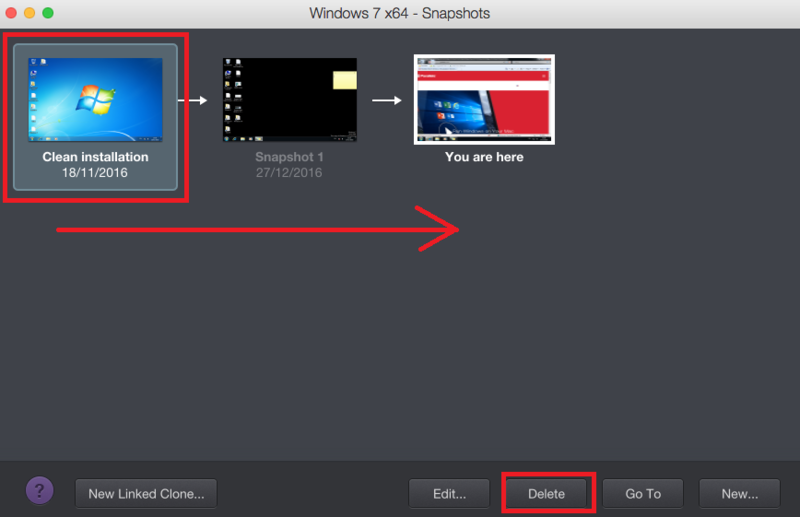 Right click your virtual machine in Parallels Desktop Control Center and choose Manage Snapshots. Choose snapshots one-by-one starting from the left side and click Delete. Rollback mode - disable rollback mode feature by going to configuration > Security > Rollback mode > Disable. Plain Disk - convert disk type to Expanding by going to configuration > Hardware > Hard Disk # > Edit... > check Expanding disk checkbox > Apply.